Learn Spanish in Spain for adults aged 18+ with full language immersion in a vibrant and modern Spanish city, Malaga in Spain. This Spanish course for adults is exclusively for people needing to learn Spanish fast. 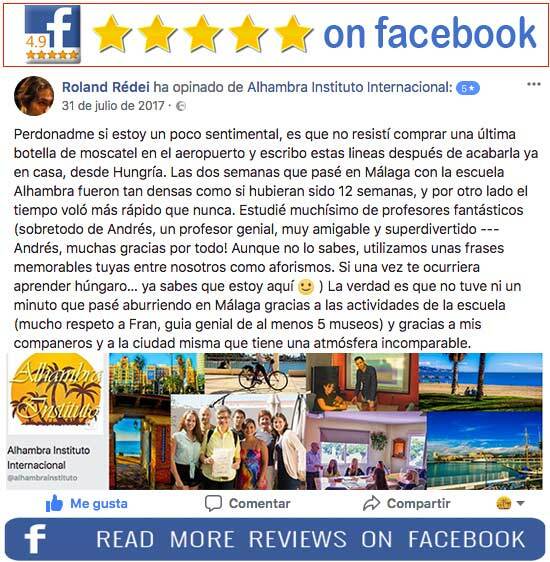 Learning with like-minded people from all over the world will help you lose any inhibitions you may have about being ‘too old’ to learn Spanish. Quite simply, this course will give you confidence in speaking Spanish. Spanish as the second most widely spoken international language, is nowadays as indispensable as English. 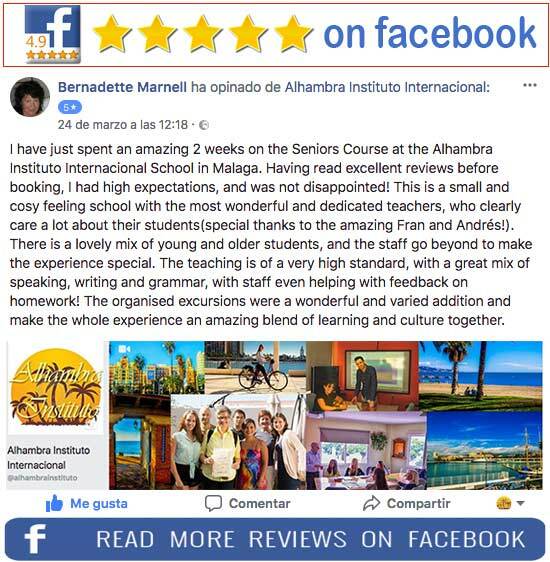 Whatever your level of Spanish, your specific expectations, the time you have at your disposal for this Spanish language course, your dream destination, we certainly have a “tailor-made” language course to propose to you. 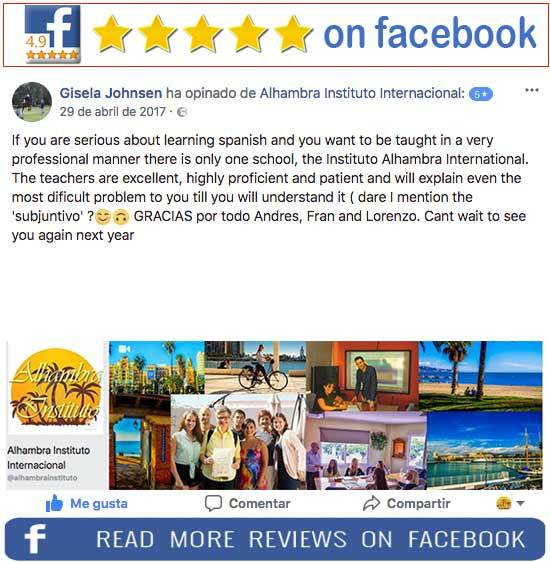 If you wish, for example, to carry out an intensive two-week Spanish course, or a gap year of language classes, or even sit an exam, at Alhambra Instituto, Spanish language school in Spain will certainly allow you to find the ideal option for your Spanish language course. Spanish language immersion programs for adults in Spain. You can start any Monday a course in all the levels except for the absolute beginners. If you want to know the dates for absolute beginners, please go to “Prices and Dates“. 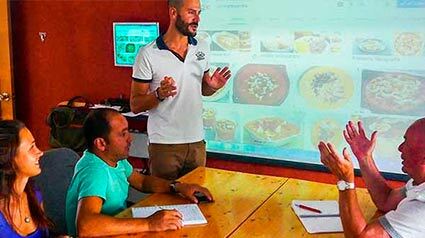 Spanish immersion programs in Spain for adults: Full immersion is the best way to learn a new language. Study Spanish in Spain, surround yourself with Spanish people and their culture and you’ll be on the fast track to success. As well as focusing on the core skills of grammar, vocabulary, reading and writing, classes are also designed to help students communicate well in everyday situations. All levels are offered throughout the year, from complete beginners to advanced speakers. At Alhambra I. School of Spanish we have a wide range of teaching materials, modern teaching methodology and technology to ensure that your learning experience is engaging and effective. In addition to text books, your teachers will refer to authentic Spanish resources. With the use of digital whiteboards, with direct access to unlimited Internet multimedia resources for instant use such as videos, internet news, examples in Internet, newspapers, and audio training. This will give you an understanding of how Spanish is used in real contexts. 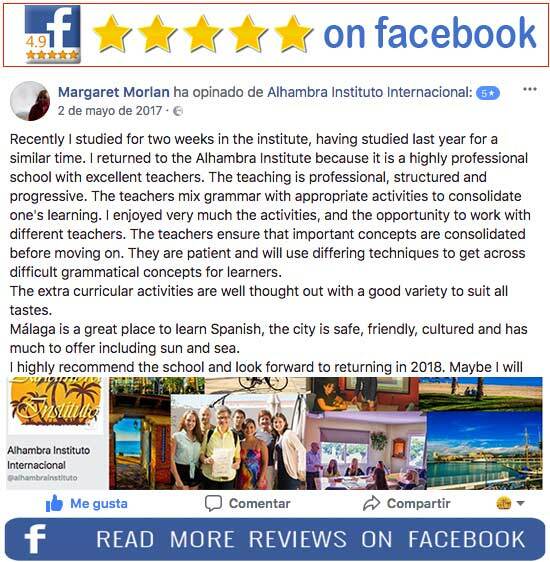 If you like to learn Spanish at a Spanish language school located in the best area of Malaga, with a high quality Spanish course, with fully qualified native teachers and small class sizes? Would you like your accommodation to be near of the best beaches of Malaga, 10-15 minutes walking distance to the school? If so, then Alhambra Instituto Spanish language school is the perfect choice for you! 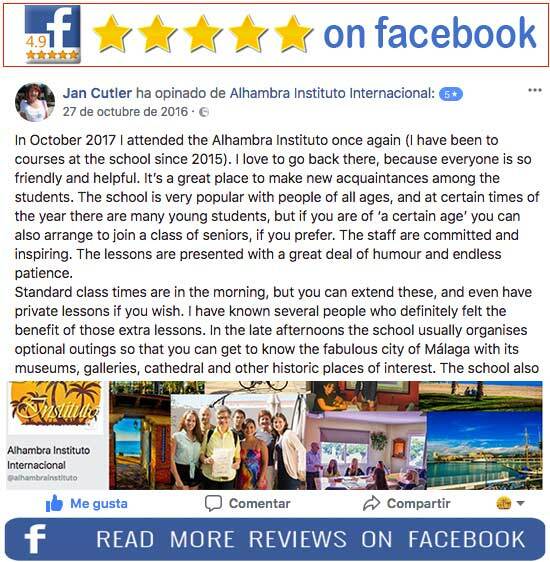 Alhambra Instituto offers courses for Young Learners, Juniors and Adults. Professional Alhambra Instituto teaching staff. Our teachers are qualified and experienced. They create dynamic and motivating classes, designed to activate and build upon your strengths, whilst also giving focused attention to your weaker areas. Málaga has the fourth biggest international airport (AGP) in Spain, which many budget airlines fly to. Public transport from the airport: you can get a train, a bus or a taxi into town. Bus to the city center costs €3 and is very convenient. The airport’s Train station is opposite arrivals terminal 3, trains to Malaga Centro costs €1.80 one way into Malaga Centro (final stop). Socialising is a very important part of your free time when learning the Spanish language for adults. Here in Malaga we offer lots of events and excursions helping you to interact with other students as well as giving you the chance to be a tourist in this beautiful part of Costa del Sol, Spain. Malaga is a very entertaining town to stay in with sandy beaches, Mediterranean clima, 320 days of sun a year and a variety of events all year round and more nightlife than bigger cities of Spain! Spanish lessons for adults always take place in the mornings, so what is there to do in the afternoons? You can use that time to do some self-study of course, or you could chill at the beach or at one of the many coffee-terraces around Malaga. All levels of Spanish language are offered throughout the year, from complete beginners to advanced speakers. Intensive Spanish Courses are designed to quickly improve your communication skills and help you open up new academic and professional opportunities. Spanish Courses for foreigners Brochures in PDF. This brochure includes a complete guide to all our Spanish courses. Find out why to Learn Spanish in Spain and start planning your next linguistic holidays in the south of Spain!